Join us for a special evening with fabric and pattern designer, author, and illustrator extraordinaire Tula Pink! She grew up in Ventura County, and we are excited to welcome her back home for a fabulous weekend of sewing and inspiration. Tula will share her latest quilts, talk about her design process, and answer your questions. 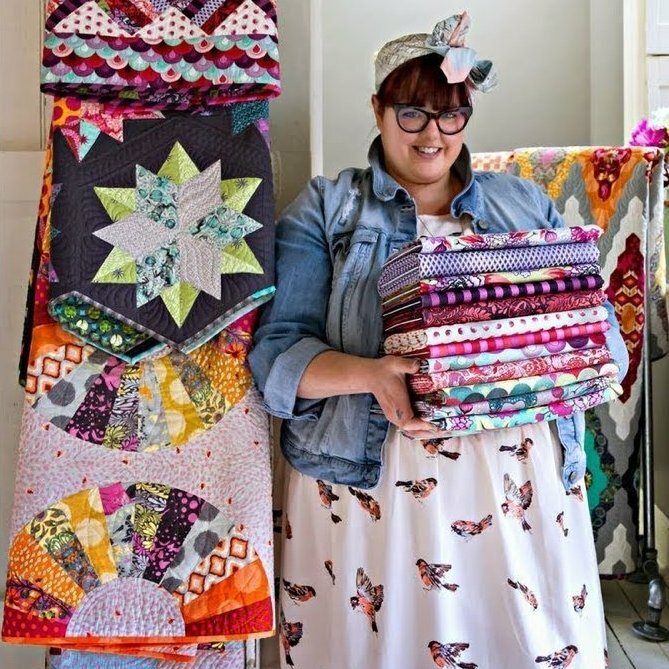 Bring along anything of Tula's you'd like signed: her fabrics, quilt blocks & quilts made with her designs, her books, and even the Tula Pink edition Bernina!